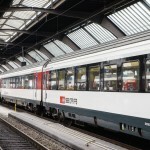 A new law allows travellers caught without a valid train or bus ticket on Swiss public transport to be recorded in a national database from 1 January 2016. Train and bus staff across Switzerland will soon have access to a national database allowing them to identify those with a habit of cheating. Currently there is no way to identify repeat offenders that spread their cheating across the country. For example someone could get caught without a ticket on a bus in Lausanne in the morning, again in Bern at midday and then in Zurich in the evening and not be flagged as a serial fare dodger. They would be fined separately at the lowest rate in three places. With a national database the same person would show up three times and be fined progressively more for each offence. Progressive fines already exist but do not reach across the whole country. 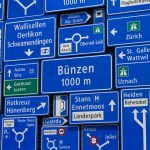 For example in Zurich the first fine is CHF 90, the second CHF 130 and the third CHF 160. In Geneva fines for repeat offences are even higher. There the first offence costs CHF 100, then CHF 140 and then CHF 170. 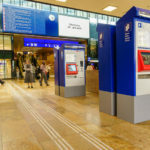 While the law allowing the creation of a national database exists, it will take time for systems to be put in place across Switzerland’s broader public transport network. The new law was passed in September 2014 and brought into force in September 2015 but the systems to record and share information between regional networks do not yet exist. Swiss Rail has kept a nationwide database since 2006. 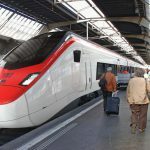 In 2014 Swiss Rail caught nearly 500,000 travellers without valid tickets, representing tens of millions of francs of lost revenue.